Success in life comes in moments both large and small, and each deserves a celebration. We have put together a bouquet that will help you spread the joy and give your occasion the attention it deserves. 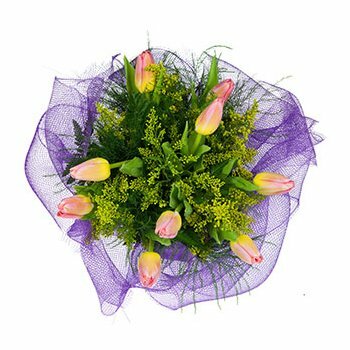 Your recipient will receive a vibrant bouquet full of 10 pink Tulips, and more. Celebrate a promotion, send off a graduate in style, or embrace the day to day with Warm Wishes.